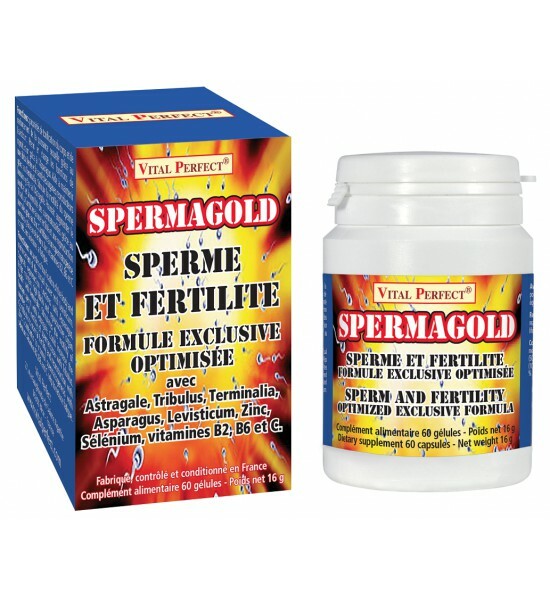 Spermagold for increase your production of sperm. In capsules for sperm and fertility of man. 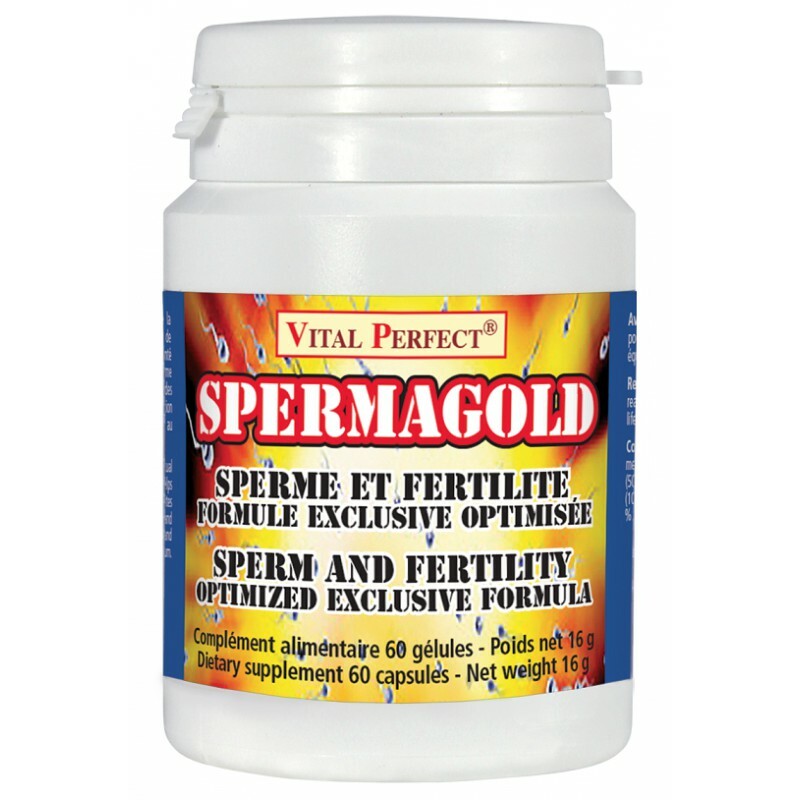 Spermagold is an exclusive formula optimized for sperm and fertility. Properties of toning of the body and reinforcement of the sexual power with Lévisticum. Supports reproduction functions with Asparagus. 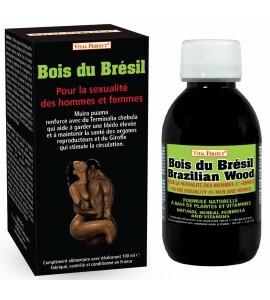 Helps maintain high libido and reproductive organ health with Terminalia. 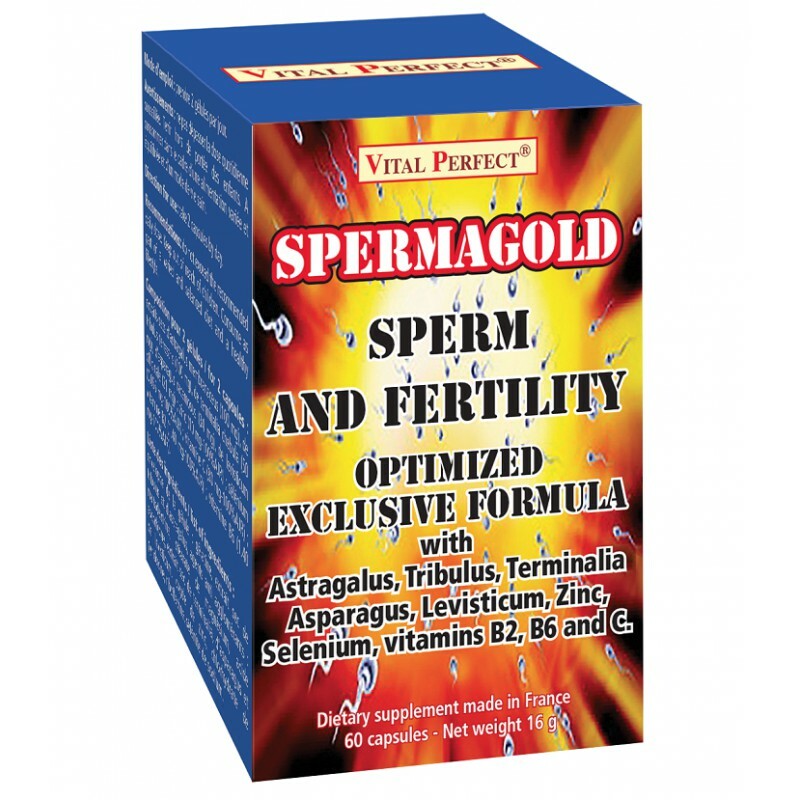 Stimulates the motility of human sperm with Astragale. Could increase the number and motility of spermatozoa with Tribulus. 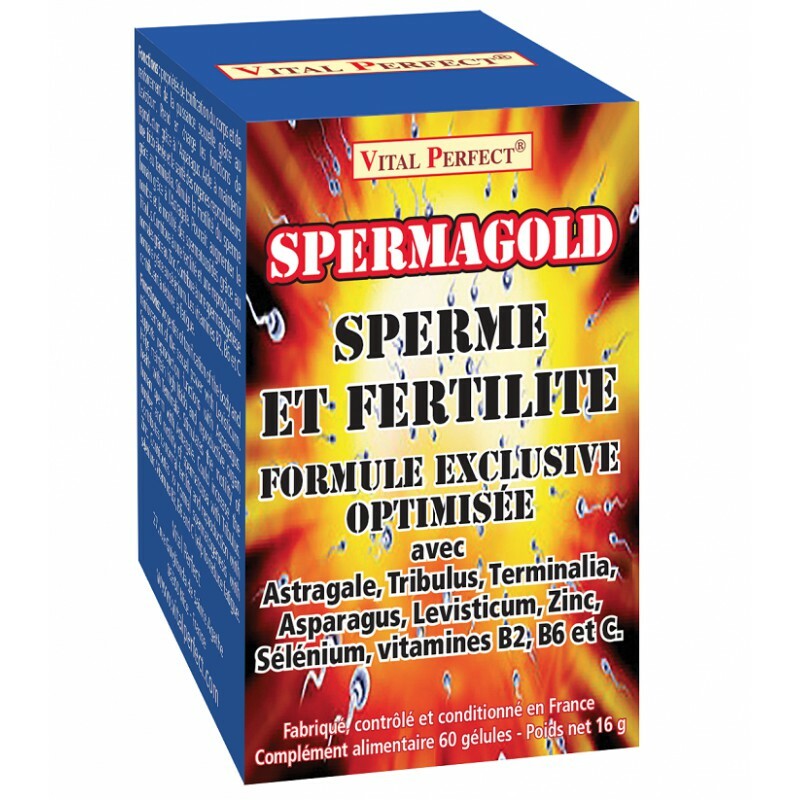 Contributes to normal fertility and reproduction with Zinc. 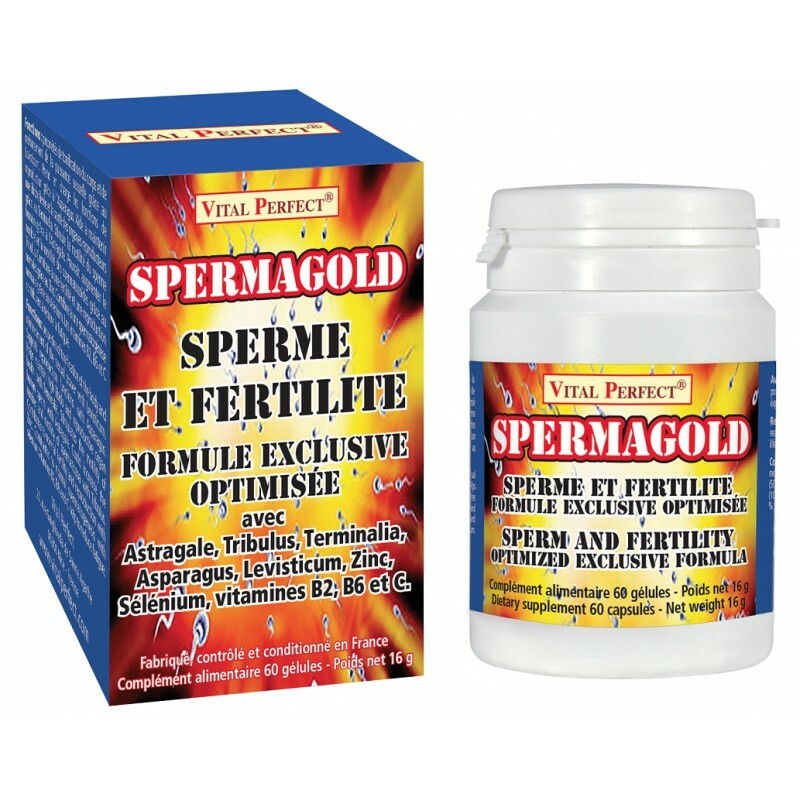 Contributes to normal spermatogenesis with selenium. Vitamins B2, B6 and C help reduce fatigue. dry extracts of Astragalus membranaceus (100 mg), dry extracts of Tribulus terrestris (100 mg), dry extracts of Terminalia chebula (50 mg), dry extracts of Asparagus racemosus (34 mg), dry extracts of Levisticum officinale, Zinc (10 mg-100% RDA), selenium (0.055 mg-100% RDA), vitamin C (80 mg-100% RDA), vitamin B2 (1.40 mg- 100% RDA), Vitamin B6 (1.40 mg-100% AJR). Envelope of the capsule: gelatin ; dry extract of Tribulus and Astragale ; anti-caking agents: maltodextrin ; magnesium stearate, ascorbic acid ; dry extract of Terminalia, Asparagus and Levisticum ; zinc oxide, pyridoxine hydrochloride, riboflavin, sodium selenite. do not exceed the recommended daily dose. The use of this dietary supplement should not be substituted for a diversified diet and a healthy lifestyle. Keep out of reach of children.